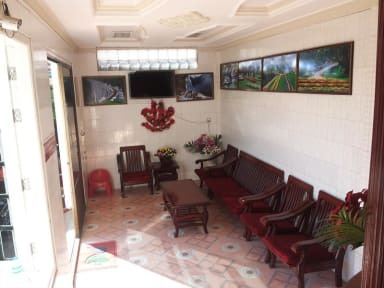 The Royal Flower Guest House located in the charming, ex-colonial town of Pyin Oo Lwin is the perfect location for your trekking holiday hub or a wonderful place to relax and get away from the hustle and bustle of city life. Royal Flower has a wide selection of dormitory and private rooms at very reasonable prices. Come stay with us in Myanmar's Famous, Alpine City of Flowers! 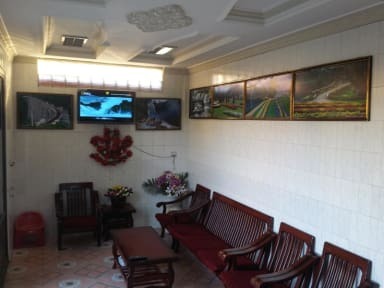 The Royal Flower Guest House offers a courteous, English speaking, professional, local trekking team run in house with itineraries for all ages and physical abilities. Enjoy complimentary WiFi and buffet breakfast on the rooftop while taking in the scenery of this uniquely diverse mountain plateau. Pyin Oo Lwin, with it's pleasant days and cool nights hosts the rare and exotic Kandawgyi Botanical Gardens. Our www.PyinOoLwintrek.com enables visits to spectacular rivers, waterfalls and ethnic tribal villages and our Tree House. Pyin Oo Lwin's elevation is 1000 metres and 69 km from Mandalay International Airport. 1. Check-in starts from 2 pm (but we have a public shower where you can freshen up if you arrive very early in the morning). 2. Early check-in is possible according to availability. 3. Check-out has to be done within 11am. (but you're welcome to chill in the common space and use our facilities for the day, and we'll store your bags till the evening). 4. Reception is open 24 hours. 5. We accept Myanmar Kyats, stainless USD bank notes From Year 2009 Or Newer (neither wrinkles nor stamps nor marks of any kind - these dollar notes won't be accepted anywhere in Myanmar), or VISA/Mastercard credit cards (for an extra 3% commission charge). - Please, note that we have a 3 days cancellation policy. Please, cancel before 2 pm (Myanmar time) 3 days prior to arrival to avoid cancellation charges. No shows and cancellations will have to pay the 1st night fee. 6. Children of all ages are welcome in private rooms (kids up to 5 years of age can sleep in the parents' bed for free).